Today’s films are often judged by how nuanced they are at presenting their central themes. They must be direct, but not overtly obvious; thought provoking, but not contradictory; open to interpretation, but not frustratingly vague. 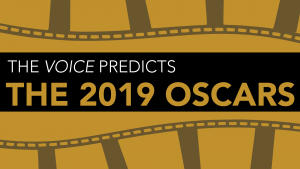 However, Green Book, a 2018 dramedy set in the early sixties chronicling the relationship between African-American pianist Dr. Don Shirley (Mahershala Ali) and his Italian-American driver Tony Vallelonga (Viggo Mortensen), refreshingly subverts this modern trend and tells it as it is. In this film, discrimination is not grey, but fixedly black, while love, friendship, and basic humanity all firmly remain on the opposite end of the spectrum. The movie begins with Tony, a hotheaded bouncer from the Bronx who, despite often getting into fights, eating too much junk food, and drinking too much beer, has a good heart, evidenced as he lovingly kisses his wife (Linda Cardellini) and children. Love might be abundant in the Vallelonga household, but money is clearly lacking, a situation that is worsened when Tony loses his job at the club. Fortunately for him, Dr. Don Shirley, a sophisticated and wealthy musician living in a lavish apartment on top of Carnegie Hall, is about to embark on an eight week tour to the deep south and is in need of a driver. Word-of-mouth has it that Tony is the best driver in town and definitely the kind you want if fists might get involved, leading Dr. Shirley to make Tony an offer he can’t refuse. Tony is initially reluctant to take the job (evidently he has not remained unscathed from racial prejudices towards African-Americans), but it is not long before Dr. Shirley and him hit the road on a journey that is about to change their lives. One of the many pleasures of Green Book is watching the interactions between the coarse Tony and the poised Dr. Shirley. 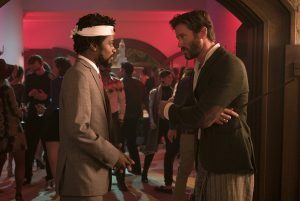 Their exchanges manage to balance fine comedy and astute social commentary, particularly about racial stereotypes, effectively developing the characters as they overcome the obstacles of their trip. The enclosed setting of the turquoise Cadillac is the backdrop for our protagonists’ burgeoning friendship, providing a fittingly ironic metaphor for their situation: as the outside world gradually becomes more hostile and segregated, Tony and Dr. Shirley’s bond only grows stronger. While the discrimination they face may not be subtly presented, such as Dr. Shirley not being able to stay, buy, or dine in certain establishments or racist police officers wanting to find trouble where there is none, the film cleverly exploits the elements that make these types of overt racism so upsetting and infuriating. 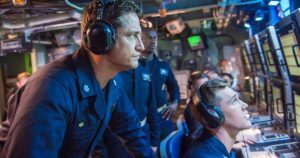 Some may deem this approach too outdated and on-the-nose, but the film’s stars more than make up for the script’s lack of subtext. Tony is the kind of protagonist whose key traits are explicitly presented early on, which is consistent with Mortensen’s candid and frank way of portraying him. His no nonsense, lived-in performance presents a man with a strong moral compass that allows him to remain honest to his true self in the daily ordeals of life. He knows who he is and is not afraid to show it, going so far as to express pride in doing so. Contrasting Mortensen’s grand and flashy turn, is Ali’s more subdued take on Dr. Shirley. Flamboyant on the outside, Ali’s performance reveals a gifted and cultured, yet insecure and conflicted individual who is not sure about his identity or his place in the world. He is too refined for people of his own race who lack access to his lifestyle and, despite his talent, manners, and intelligence, his identity as a black man prevents him from being considered an equal amongst whites. Ali particularly shines in a climactic scene in the rain, breaking your heart as his character struggles to express the daily inner turmoil that afflicts Dr. Shirley’s wounded heart. The film’s period details are all on point, with the costumes and set design creating an accurate image of 1960s America. These elements also help make the distinction between our protagonists more stark, especially considering Tony’s often stained clothes and Dr. Shirley’s perfectly fitted tuxedos. Peter Farrelly deftly directs the movie with a sure hand, working from an exquisitely sharp script he co-wrote with Nick Vallelonga and Brian Hayes Currie. The dialogue is often witty and vivid, each situation smoothly flowing to the next. 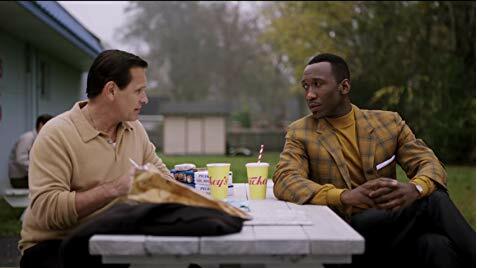 With that being said, Green Book is straightforward in its approach and scope, making the story rather predictable at times. It hits the usual beats of this type of movie and, though expertly made and very enjoyable to watch, does leave one wondering if a more layered picture could have been made. Likewise, the movie hints at potentially interesting themes, including Dr. Shirley’s homosexuality and suggested overdrinking or Tony’s initially racist attitudes towards African-Americans, but fails to explore them more deeply, making them feel unnecessary and tagged on. Still, Green Book’s more simplistic and old-fashioned approach largely succeeds in telling a feel-good and important story about race relations in the United States and, when the company is this good, who can really complain? Besides, villains will be villains, and our good-natured heroes will be just that: heroes.